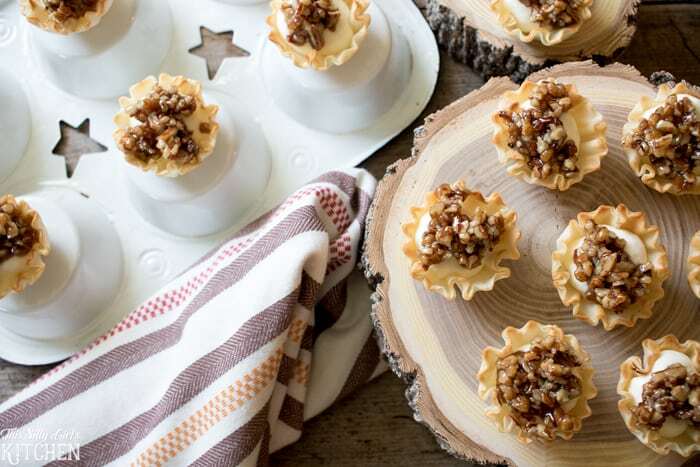 Creamy Baklava Bites, phyllo cups, flavored whipped cream and honey glazed pecans make for a fun twist on a classic dessert. You guys…. just look at these little cuties!!! 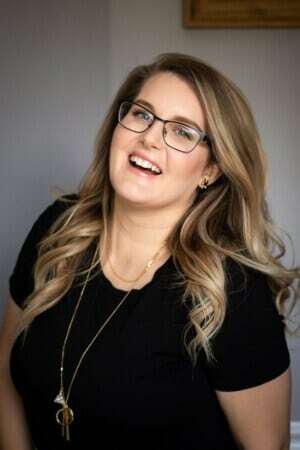 I am so excited to share them with you today! I just love it when a recipe I have concocted in my head comes out even better than I expected! 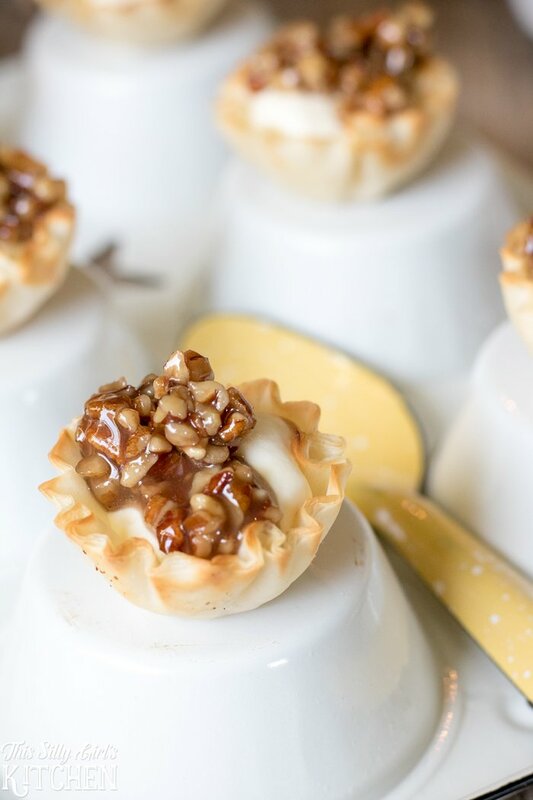 That’s exactly what happened with these creamy baklava bites! Now, obviously, this is not a traditional baklava recipe. 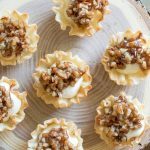 It is far from it, there is nothing creamy about traditional baklava but the flavors in this treat just work! I love reinventing traditional flavors if you haven’t been able to tell that already! We go crazy for honey in this house and then baklava jumped in my head. I just had to make these! Are you a honey fan? I love honey when it is mixed into recipes but on its own, I’m not that crazy about it. But, Jeremy can’t eat a biscuit without it! 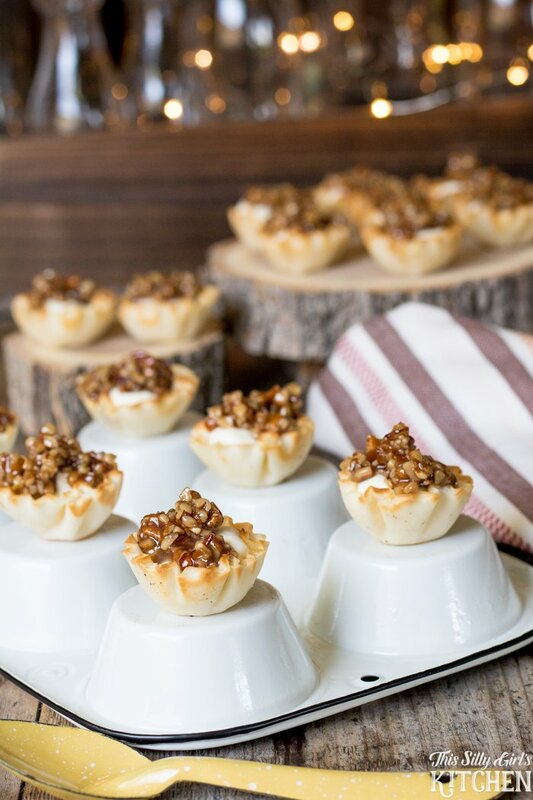 You want to make sure the pecans are hot but still a touch warm so they are easily spoonable onto the fillo cups. 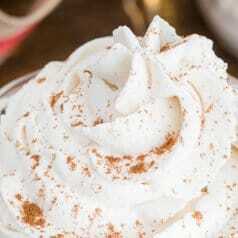 Feel free to add a touch of cinnamon or pumpkin spice into the whipped cream mixture. That would also be super yummy, but I really wanted the natural honey flavor to shine through. 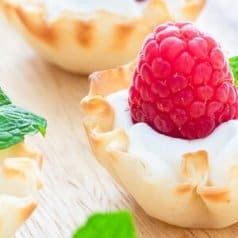 They are light, crispy, creamy little bites! And so cute I must add! Place fillo cups on a sheet tray, set aside. Using a whisk or hand mixer, whisk heavy cream and the pudding powder together to form stiff peaks. Pipe into the fillo cups evenly. Place in fridge for one hour. While the cups are in the fridge, make the pecan mixture. Place remaining ingredients into a small sauce pot and stir to combine. Bring to a simmer about 5 minutes, stirring constantly. Lower heat to medium low and simmer for 2-3 minutes, stirring constantly until half of the liquid is absorbed. Take off the heat, allow to cool. 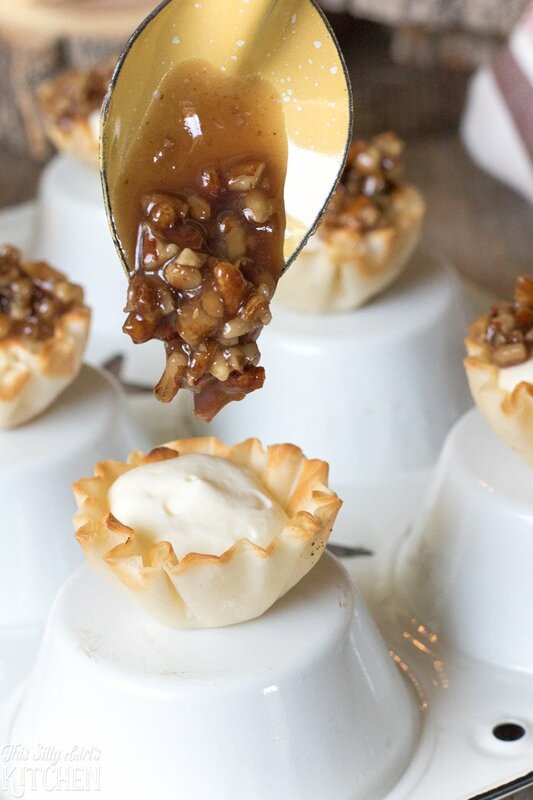 Evenly distribute the pecan mixture on top of the fillo cups. Serve and enjoy! Can’t believe how crazy easy these are! Not to mention delicious! Thank you! I love, love baklava—and I need build in portion control! These are perfect. 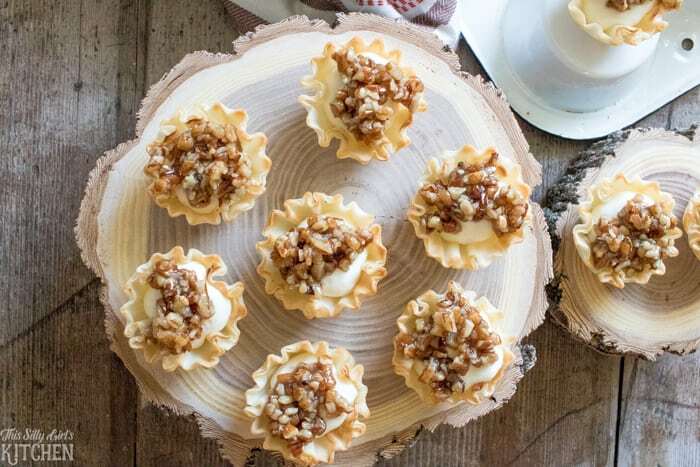 Seems I always have a box of phyllo cups in the freezer – so versatile! 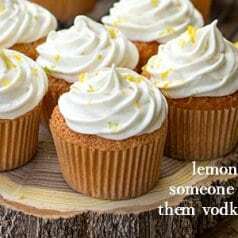 And this recipe – brilliant!!! Definitely bookmarking for some parties coming up!! !